Ok, so it is DECEMBER now and that means one thing. Christmas is right around the corner and all that yummy and tempting snack food will be around the house and at every party you attend. Now that I am a stay at home mom, I don't go to office Christmas parties anymore but when I did, I enjoyed them so much. Really, the only parties I go to are Christmas Day celebrations with my family. It sure makes eating better easier when I don't have a party every week leading up to Christmas!! This year I am focusing on healthy eating more than ever...I am on a fitness program that is giving me awesome results and part of that program is eating less carbs, less sugar and more protein. At first, I thought I would HATE eating that way but I just slid right into the program and here I am...45 days later...22 pounds lighter and 14 inches smaller. Never thought I could do it but here I am! Another part of this program is making sure I get snacks in between meals and that is the hardest part for me. Healthy snacks are a MUST...which is why I am so excited to introduce you to this awesome company today! At FLYJOY, we’re on a mission to inspire everyone we meet to discover their extraordinary. 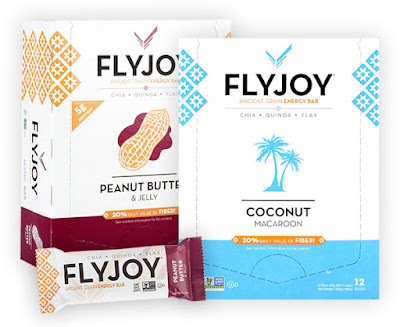 FLYJOY bars come in 7 amazing flavors and are packed with healthy ingredients to fuel your exploration, like crunchy quinoa, chia seeds, ground flax and oats. Every bar is all-natural, gluten-free, non-GMO, kosher certified and vegan. A portion of the profit from each bar goes to HOPE International, a nonprofit organization that empowers families to break the cycle of poverty. FLYJOY encourages you to discover the JOY in your journey. Oh my. Is your mouth watering yet? 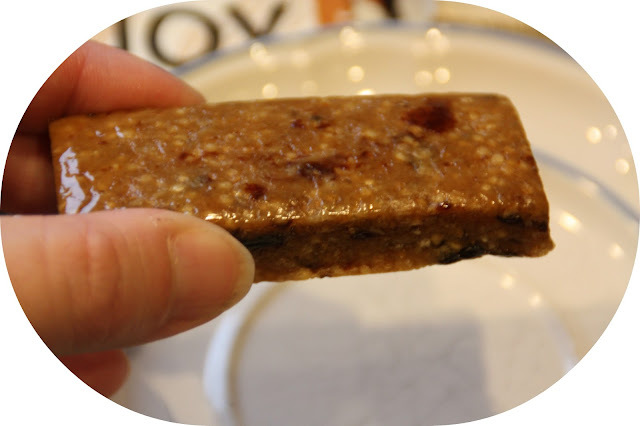 I am a HUGE peanut butter fan and so, naturally, I tried the Peanut Butter & Jelly FLYJOY bar first. It was so tasty...I didn't want to share. :) But, I did and my children enjoyed it almost as much as I did! Other favorite flavors were the Coconut Macaroon and Cashew Cookie Dough. The Macaroon bars taste just like an Almond Joy bar!! I was surprised, but so pleased at the same time. 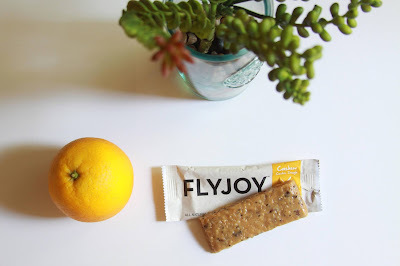 As you can see, FLYJOY bars aren't very big but they pack a powerful, nutritious punch that fills you up and keeps you satisfied. They are semi moist but that just means that they are not dried out and tough. They are definitely dense and that is also something that I didn't mind. Currently, these 1.5-ounce bars are sold in select stores in Illinois, Iowa, Missouri, Nebraska, New York, South Dakota and Texas, and also available at flyjoy.com and Amazon.com. I am in New York so YAY for their availability here. 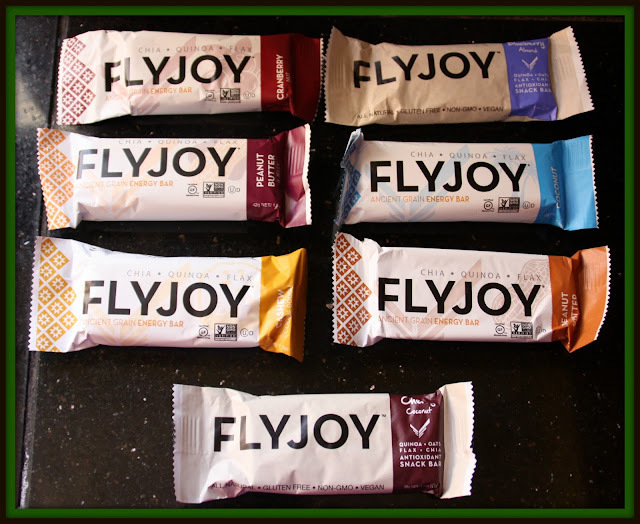 The price of these bars is roughly $1.99 per bar, and can be purchased by the 12-ct case from FLYJOY.